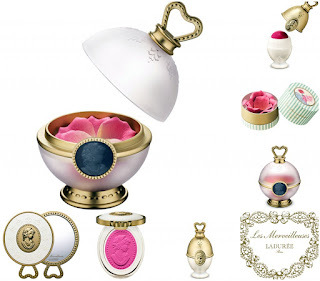 Ladurée, famous of their delicious macaron , had launched color cosmetics in Japan in February 2012 called Les Merveilleuses de Ladurée (or The Wonders of Ladurée, in English). Created by Albion, the collection centers on 20 different blush colors in the form of cameos. Also in the line are liquid foundation and lip color. 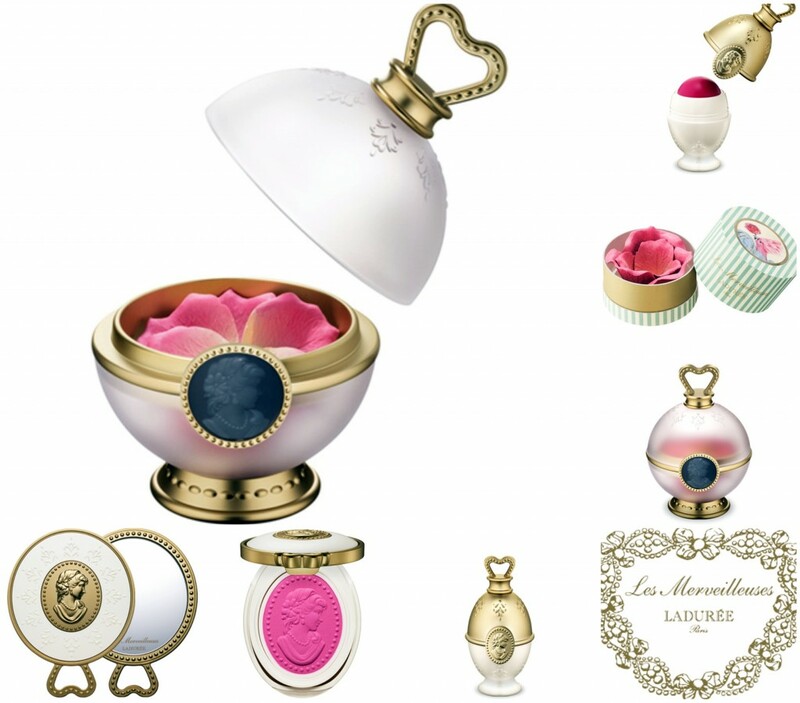 I'm so interested of their Face Color Rose Ladurée which is like rose petals with color. These rose petals are actually paper with blush color coated over them with floral/powdery scented. 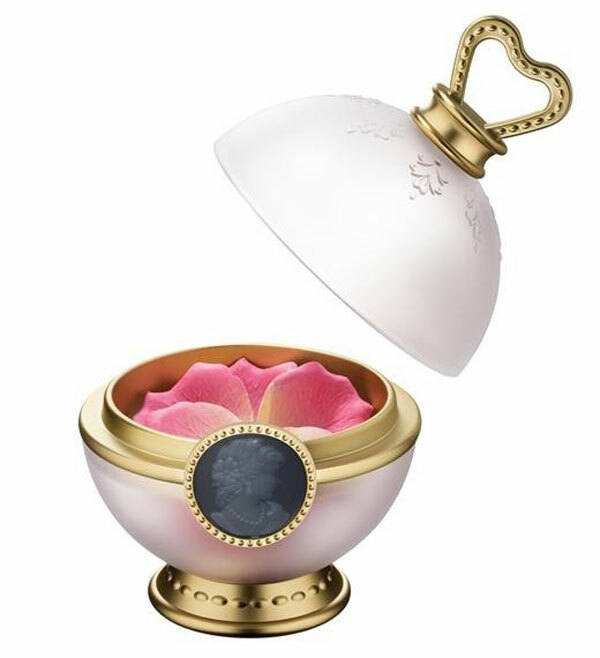 You need to use a brush to swirl over the petals and apply on your cheeks. But I really feel that it really look so delicate and I think most girls will go crazy about it!